As you all know, Windows 10 has come up with the new feature called as Action Center, which pop-ups in a similar way, like the start menu does, but in the bottom right corner. 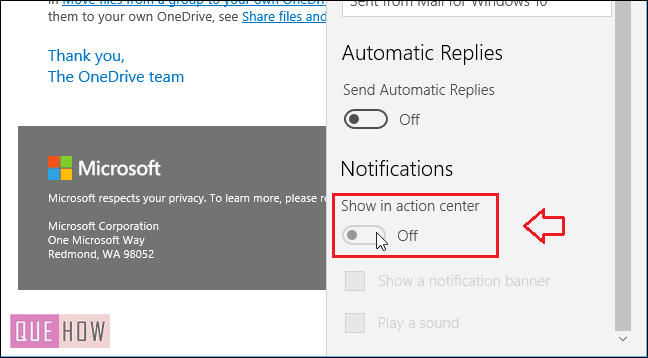 After configuring your mail, you might often get its notifications in the action center because the Mail app uses the Windows notification system to notify you about the emails. Sometimes it feels irritating. 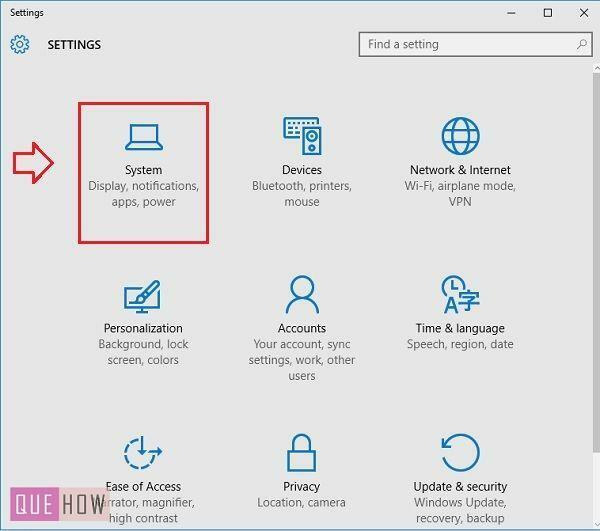 But don’t worry guys, you can easily enable and disable email notification in Windows 10, by just going through this article wherein the detailed steps to perform the same are explained below. 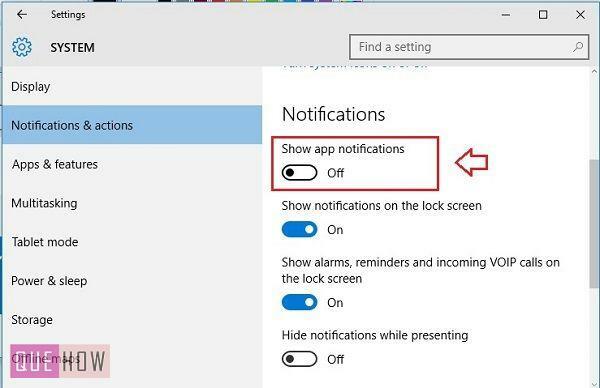 Step 1: First check, that whether the “Show app notifications” is enabled in Windows or not. 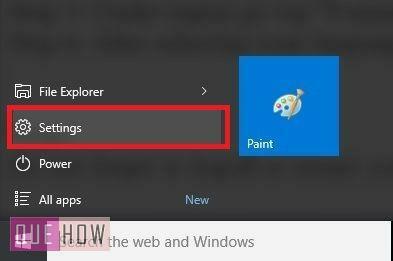 To do this, open the Start menu and click on “Settings”. Step 2: Under the settings, Click on “System” icon. Step 3: Now under the system tab, go to “Notifications and actions”. Step 4: Under “Show app and notifications”, just swap the slider to another direction in order to switch on that function. 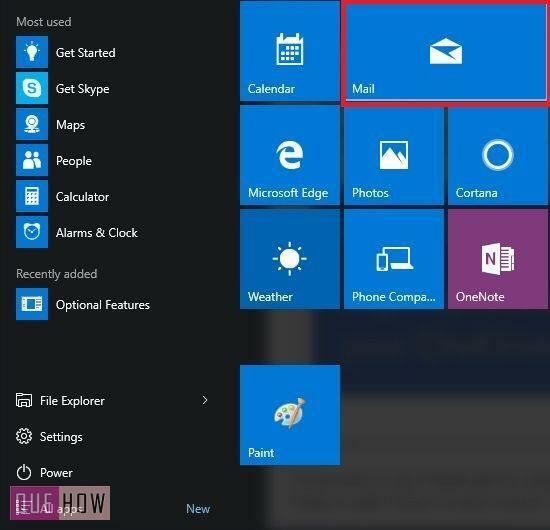 Step 5: Now go to the start menu and open the “Mail app”, as shown in the figure below. Step 6: Click on the “mail settings”, which is at the bottom left of your screen. Step 7: Under the mail settings, just click on “Options”. Step 8: Under the Options, You’ll see the Notification option, inside that there is a slider which says “Show in action center” just turn it on. 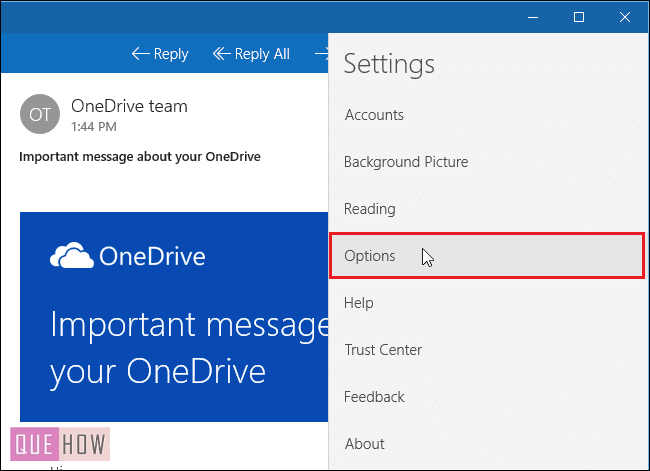 Step 9: If you want windows to show you a small banner when a new mail comes to you, then click on the checkbox shown in the image below. Step 10: In order to close the “Settings” click on the mail icon at the bottom left corner and finally close that window. Your Mail is now configured. In the same way, you can disable your email notification.